NAMM 2018: Loopmasters is set to launch version two of its cloud storage solution, Loopcloud and it promises to be best sample browser in the world. We saw the launch of Loopcloud at last year’s NAMM show and it looks like Loopmasters is bringing a revolutionary update in 2018. 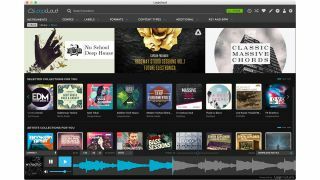 Loopcloud 2.0 gives you access to 15 years’ worth of Loopmasters’ premium sample content, all in one place, for free. Other new features in the latest version set to make it quicker and easier than ever before to browse, manage and audition samples without ever leaving your DAW. Details on exactly when the update will materialise are scant at present, but we hope to find out more at the show. In the meantime you can check out the Loopcloud website.